Download the FREE Northern Quest app! 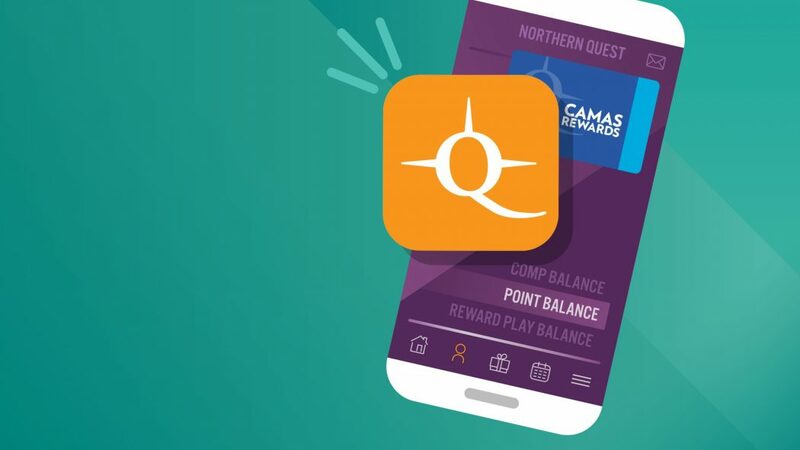 Access your Camas Rewards anytime, anywhere. Are you ready for a space-time continuum? The fourth dimension? We’re not there just yet, but we can give you a direct connection to every promotion, event or special offer at Northern Quest, right now! Download our app on your mobile device to book hotel rooms and spa appointments, view restaurant menus, get concert tickets and more. Northern Quest Resort & Casino is committed to responsible gaming. If you or someone you know has a gambling problem, please call the Washington State Problem Gambling Helpline at 800.547.6133 or Camas Path at 509.789.7630.